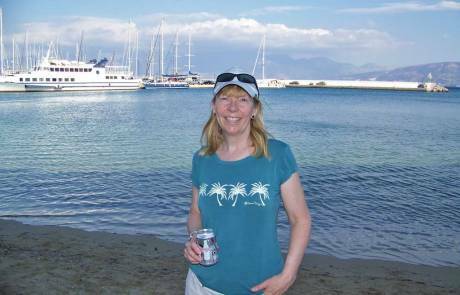 We arrived for our Agios Nikolaos visit on a cruise ship from Egypt. 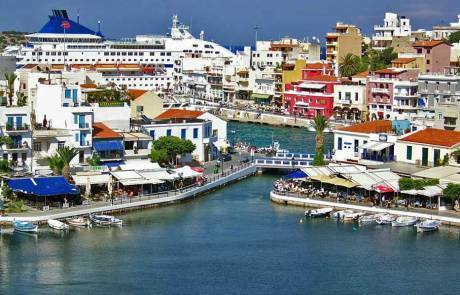 Agios Nikolaos is a small town on the northeast coast of Crete, which is part of Greece. The ship docked right downtown, so it was easy to get there. Agios Nikolaos is about on hour east of Heraklion, so you can also get there easily by vehicle. 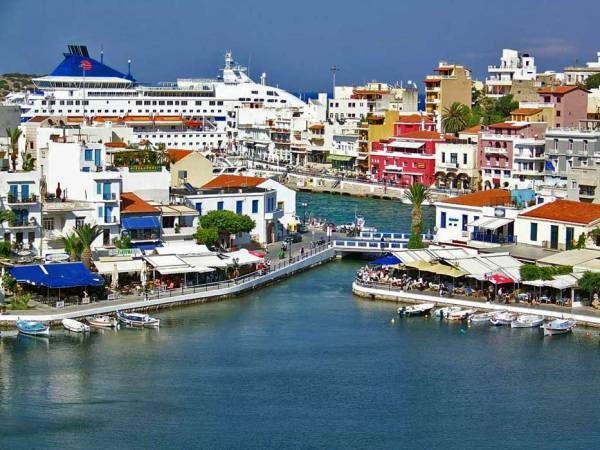 The nearest airport is Heraklion’s Nikos Kazantzakis Airport. 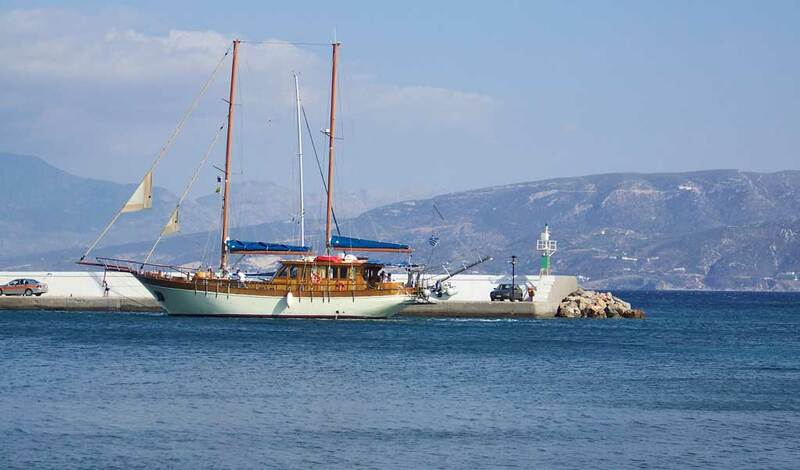 You can also get there by regular ferry service from Heraklion, Athens and Rhodes. 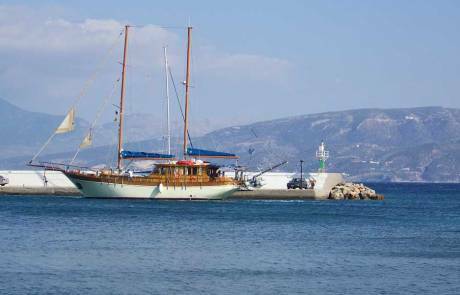 The Agios Nikolaos visit was a refreshing change from the hectic atmosphere in Cairo. 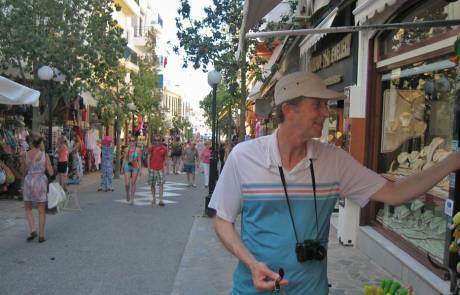 No organized tours were offered, so passengers wandered about Lake Voulismeni and the shops on the pedestrian only streets. Lake Voulismeni is a brackish tidal inlet in the heart of the downtown area. You can walk around most of the lake on waterfront sidewalks. We walked to the far side where we climbed up steps built into the hillside. Although the hillside wasn’t very high, it gave us a fantastic viewpoint over Lake Voulismeni and the city. 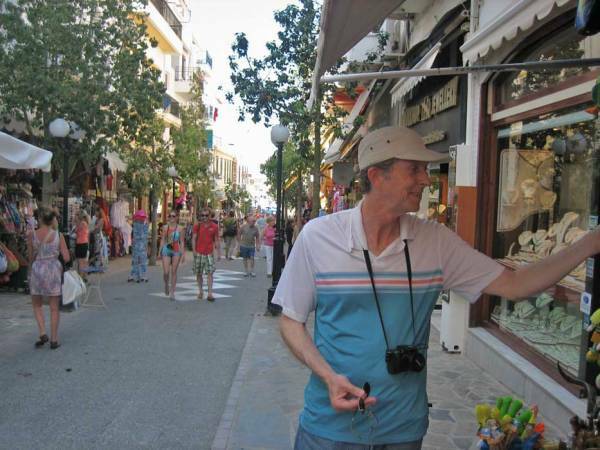 Next on our Agios Nikolaos visit we wandered the pedestrian only streets. Shopping was so calm here in comparison to the frantic experience the day before in Cairo. When you touch an item for sale when shopping in Agios Nikolaos, no one swarms you with pressure to buy. Shopping and browsing was very peaceful. 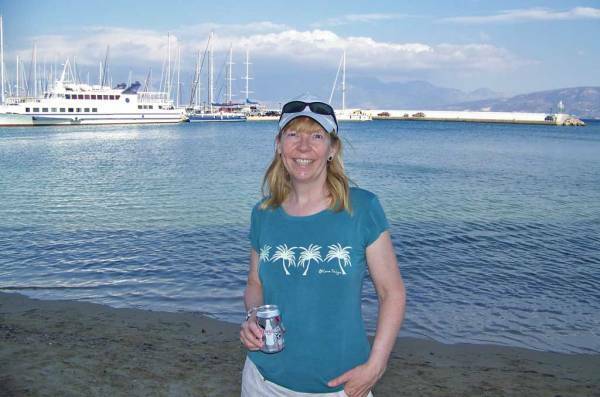 After that, we wandered through the harbor and down to the beaches on the back side of the downtown area. 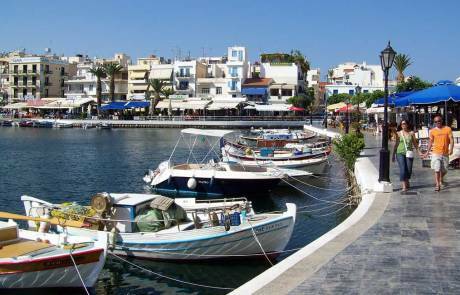 We discovered the Aigos Nikolaos Marina and Ammos Beach. 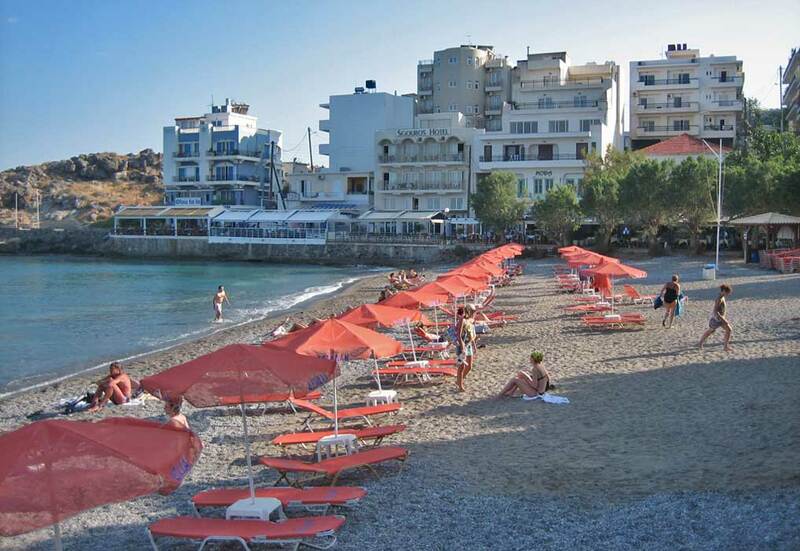 Locals were sitting under umbrellas and Ammos Beach and playing volleyball. A few people were swimming. The atmosphere was completely relaxed. Nearby we also visited Kitroplateia Beach. 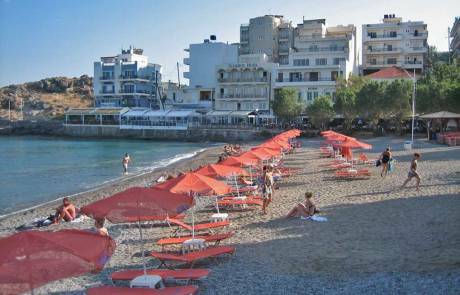 The beaches in Agios Nikolaos are small but inviting. You felt like people in Agios Nikolaos lived in paradise all the time and thoroughly enjoyed it. The beaches were a local family affair. We sat for a long time at Ammos Beach enjoying the tranquility of an afternoon at the beach. A wonderful way to recover from the chaos of Cairo.